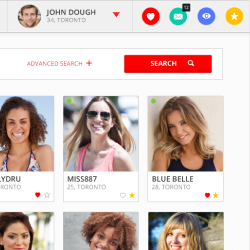 Lavalife wants to put the excitement back in dating. We match your interests to help you break the ice and give you online dating tips along the way to make sure you have the best experience possible. Get started today. 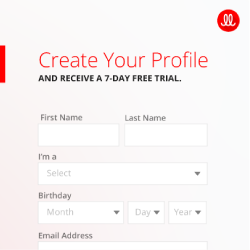 SIGN UP NOW FOR YOUR 7-DAY FREE TRIAL. Quick sign up process—under 10 minutes! New “In Common” feature that shows you exactly what makes you click. 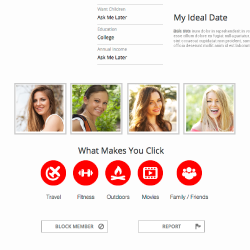 Take the fun with you with the Lavalife.com dating app for Android and iOS. The app offers all the same features as the website plus exclusive app-only bonuses like LavaLounge. Download the app now! At Lavalife.com, we believe that dating should be fun. We also believe it should be stress-free! Kick the common dating myths to the curb and start meeting great new people today. Need some help along the way? Follow us on social media by clicking the buttons below. Hey there! Looks like you're using an outdated version of Internet Explorer. Please download an up-to-date browser compatible with the latest web technology.